ToxLogic Pty Ltd, trading as JK ProCare Systems, is accredited by the National Association of Testing Authorities (NATA) to AS/NZS 4308:2008 “Procedures for specimen collection and the detection and quantitation of drugs of abuse in urine” (Section 2 and Appendix A) and AS 4760:2006 “Procedures for specimen collection and the detection and quantitation of drugs in oral fluid” (Section 2). 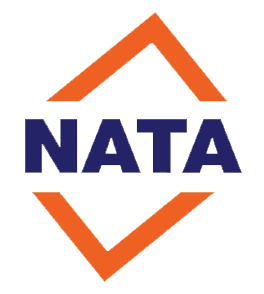 Our full scope of accreditation can be viewed on the NATA website by clicking here. All collectors employed or contracted by ToxLogic are required to successfully complete a recognised training course and receive a statement of attainment for the course in accordance with The Australian Quality Training Framework. In 2008, the JK ProCare Systems business was sold to Occupational Toxicology Services Pty Ltd and continues to operate under the JK ProCare Systems name as a drug and alcohol collection and testing agency. Our head office is in Melbourne and we also operate a regional collection centre in Morwell. While most of our clients are based in Victoria, we offer an Australia-wide collection service where this is required by the client. Collections outside of Victoria are conducted either by ToxLogic staff travelling to the interstate site, or by interstate contractors using ToxLogic equipment and procedures.